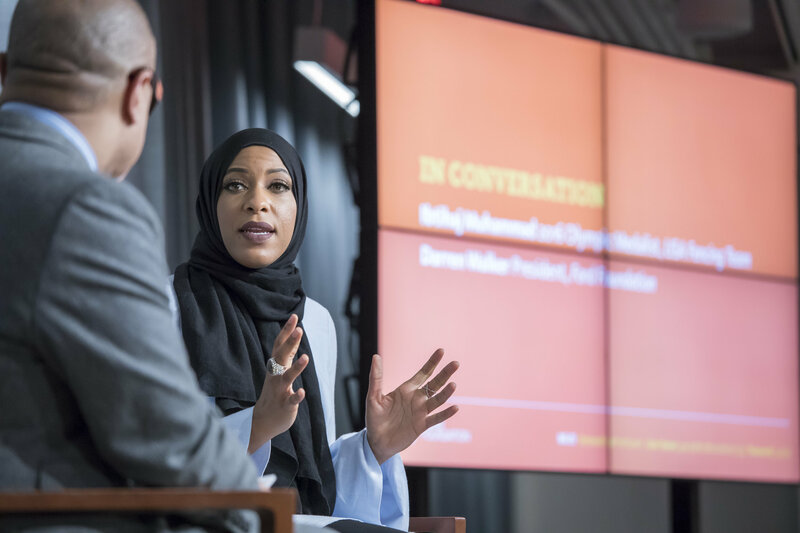 The first Muslim American woman to have ever competed in the Olympics donning a hijab, and a 2016 Olympic bronze-medalist in sabre fencing, Ibtihaj Muhammad is in Qatar to get involved in a number of activities taking place in celebration of National Sports Day today. A much-celebrated and influential athlete, Ibtihaj wears several hats including those of an entrepreneur, activist and speaker. She has played an active role in creating global dialogue on gender equality and diversity, concerns that Qatar has emphasized in the international community and raised the bar for in the region, reported Gulf Times. Ibtihaj has been named to Time Magazine’s 100 Most Influential list and continues to be the voice for both the sports and non-sports world with the ambition to unite communities. The Government Communication Office (GCO) announced details of her visit earlier yesterday, commenting, “We look forward to sharing Qatar’s unique culture and hospitality with Ibtihaj." During her time in Qatar she will be taking part in several National Sports Day (NSD) activities, including a visit to the Aspire Academy to participate in fencing practice with local students and in cycling as part of Qatar Foundation’s NSD activities, the GCO highlighted. The world champion will also shed light on her work to empower young women through sports at a discussion scheduled to take place tomorrow 4 to 5 pm at Qatar National Library. “Qatari women have participated in Olympic Games in sports such as swimming, athletics, shooting and table tennis, and Qatar is looking to continue and strengthen this legacy in part through important discussions with Ibtihaj,” the GCO noted. The Office hoped for all of Qatar to proudly demonstrate the country’s culture and passion for sports and extend the warmest of welcomes to Ibtihaj, according to The Peninsula. Monday evening, Ibtihaj visited the Museum of Islamic Art to view the museum’s permanent collection and one of the on-going temporary exhibitions. A graduate of Duke University with a dual major in International Relations and African Studies, Ibtihaj also owns a clothing line known as Louella that offers modest, fashionable and affordable clothes. In July 2018, the inspiring athlete released her debut memoir titled “PROUD: My Fight for an Unlikely American Dream” that highlights her journey through the years. Ibtihaj is a sports ambassador with the U.S. Department of State’s Empowering Women and Girls through Sport Initiative, and works closely with organizations like Athletes for Impact and the Special Olympics. How is your Sports Day going? Let us know how you marked the day in the comments below! By Molten Metal• 2 months 6 days ago.